Scientists with NatureServe, an international biodiversity conservation NGO, looked at the conservation status of the 45 species of bat that occur in North America north of Mexico. Using a methodology for assessing conservation status developed by NatureServe, the researchers determined that, as of 2015, more than 30 percent of the 45 bat species included in the study qualified as vulnerable, imperiled, or critically imperiled. The authors of the study say that the rapid spread of a deadly fungal disease called white-nose syndrome has killed several million cave-dwelling bats of multiple species in eastern North America over the past decade. Bats have not historically been a focus of much conservation effort, but starting around 1985, conservationists in Canada and the United States began working to limit human access to bat caves in response to widespread declines in cave-roosting species. Those efforts were seen as largely successful, as populations of species such as the gray bat (Myotis grisescens) and the Indiana bat (Myotis sodalis) showed signs of recovery by the turn of the century. But a new study published in the journal Biological Conservation this month finds that those conservation gains have been all but reversed over the past decade and a half. 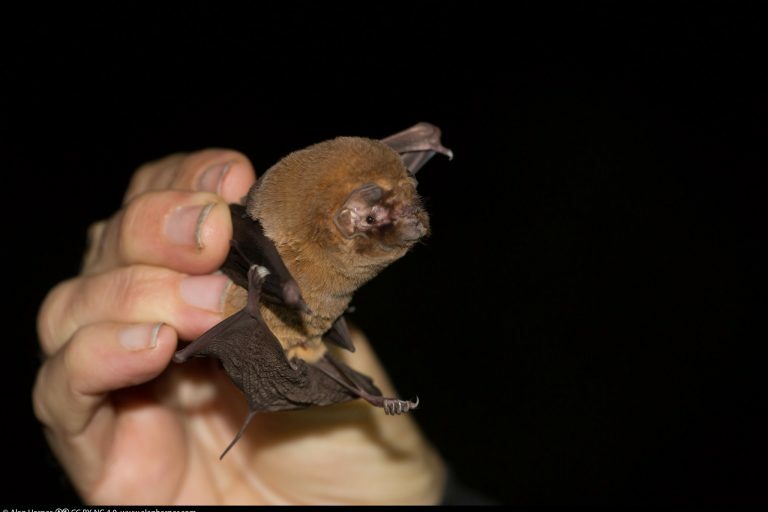 Scientists with NatureServe, an international biodiversity conservation NGO, looked at the conservation status of the 45 species of bat that occur in North America north of Mexico. Using a methodology for assessing conservation status developed by NatureServe, the researchers determined that, as of 2015, more than 30 percent of the species included in the study qualified as vulnerable, imperiled, or critically imperiled. Some eight species, or 18 percent of North American bats, are at risk of extinction, according to the study, with a further six species, or 13 percent, potentially at risk — making bats one of the most threatened groups of terrestrial vertebrates in North America, more than birds, lizards, snakes, and mammals overall. “The magnitude of this fifteen-year decline is significant — as a third of North American bat species dropped an entire category, for example, from Vulnerable to Imperiled,” Bruce Young, a zoologist with NatureServe based in Costa Rica and co-author of the study, said in a statement. The Ghost-faced bat (Mormoops megalophylla) was found to be “Secure.” Photo by Alan Harper, licensed under CC BY-NC 2.0. Young and team say that the rapid spread of a deadly fungal disease called white-nose syndrome has killed several million cave-dwelling bats of multiple species in eastern North America over the past decade. The team also found that collisions with wind turbines killed hundreds of thousands of bats, predominantly members of migratory species like the Eastern red bat (Lasiurus borealis), over that same timeframe. These are the chief threats that have led to the decline in bat numbers since 2000, reversing the previous conservation gains made by restricting intrusions into roosting caves, the researchers determined. Previous research has shown bats provide a range of ecosystem services “valued in the millions of dollars annually,” the researchers note in the study. Most of the 45 species of North American bats are insectivores, for instance, meaning they help control populations of pests like cutworm moths, beetles, mosquitos, and flies that can damage crops. In the southwest of the United States, where bat species richness is the highest, as well as in Mexico, bats also play a critical role as pollinators for cacti and agave plants. Though bats are some of the most locally abundant mammal species in North America, with colonies known to number in the millions, they are facing myriad threats to their survival, not just white-nose syndrome and wind turbines. In fact, 22 species, or almost half of North America’s bats, were found to be facing more than one distinct threat. “Although disease and wind infrastructure are the most pressing threats, bats are also declining because of conversion of their native habitats to agricultural and residential and commercial developments,” the researchers note in the study. Disturbances at the caves where they roost also continue to pose a threat to some bat species. The authors of the study add that there could be a number of other threats that we simply don’t yet understand, as well. But they are also hopeful that by examining the threats to bat survival, solutions can be implemented.